I am love, love, loving my new "day of rest" each weekend! My plan is to turn off everything from 6 pm Saturday to 6 pm Sunday and just do quiet activities like hand work along with some meditation. By Friday last week I was already looking forward to it! I am now wondering about adding a half day on Wednesday - I will think about that! This was intended to be a quick, two month project, but instead it took me five full months. 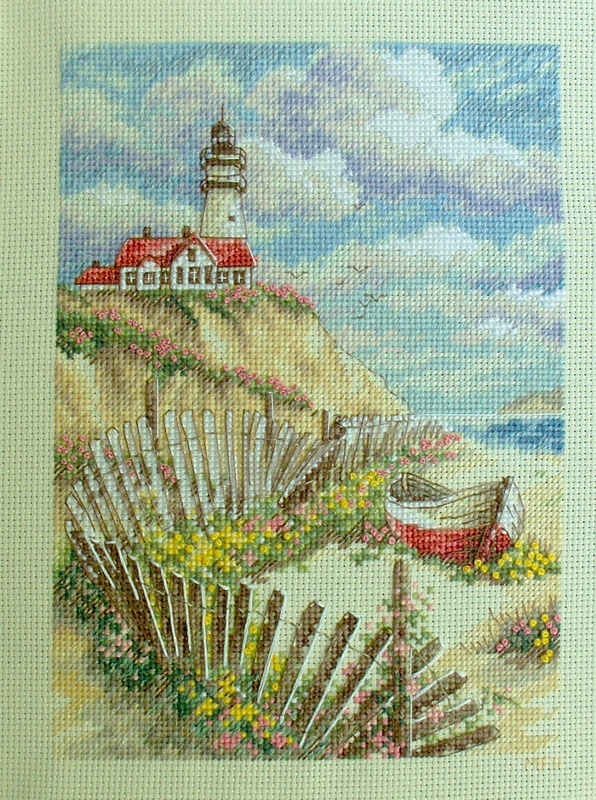 Although it is only 5" x 7", it is 18 count aida and there is a lot of stitching. It's true that I was distracted by the yoyos, but also, I think I have had my fill of cross stitch for a while. 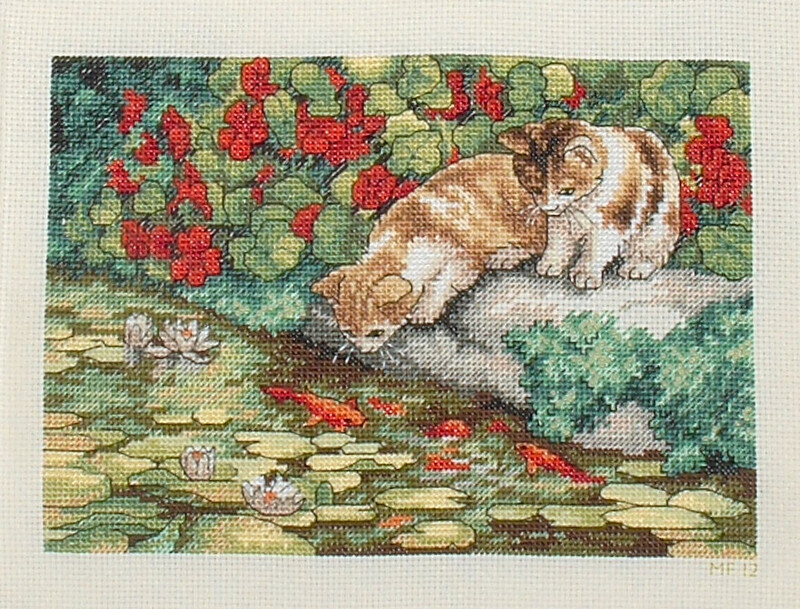 For the past year and a half I have been cross stitching almost continuously, but now I really want to be quilting. The lighthouses are also Dimensions Gold Petites, and this one did go faster than the kittens, but I am still not sure if I want to commit to them now. There would be two more. It used to be that when I finished a cross stitch project I would have the next one on the frame within an hour, but for now I am going to take a breather. It may be a while before I get rid of those shelves any way!